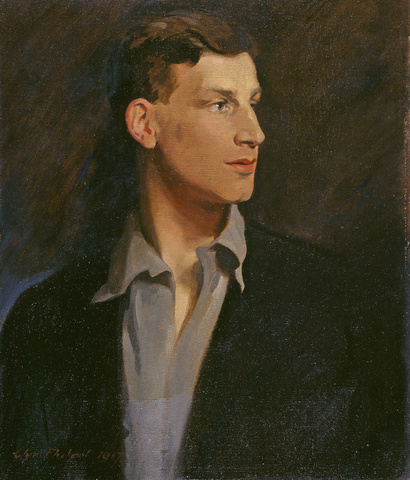 A painting of Siegfried Sassoon by Glyn Warren Philpott. Painted in 1917, you can see the original at the Fitzwilliam Museum, Cambridge. In this poem an officer delivers a consolatory letter to a grieving mother concerning the death of her soldier son, Jack. She is proud of her son’s glorious sacrifice— but, on leaving, the officer reflects wryly on Jack’s cowardice and incompetence in the line. STRUCTURE: Written in iambic pentameter, ‘The Hero’ comprises three stanzas of six lines length largely made up of rhyming couplets, save the first four lines of the second stanza, which have an alternating rhyme scheme. Rhyming couplets, of course, are particularly effective in relaying neat epigrams or moral statements. The simplicity of the rhyme scheme perhaps apes the newspaper poetry of the time, which often went in for sentimental attitudes about the heroism of the British ‘boys’ and their sacrifice. The first stanza could in fact stand alone as a very effective pastiche of such poetry. The second stanza sees a shift of narrative viewpoint, admitting a more complicated reality of appearance and lies. The third stanza contains the revelation of Jack’s true nature and death, subverting the sentimentality of the first. The Hero: the ‘Hero’ of the poem is, of course, ironically termed so: Jack is the kind of malingering coward who earned the contempt of his comrades on the battlefield, especially in a well-disciplined regiment like the Royal Welch, in which Sassoon (and Graves) served. “Jack fell as he would have wished / The mother said”: the stock figure of the grieving mother opens this poem: a familiar, emotive image of loss in war. Here, the mother uses an everyday euphemism for dying in war— “Jack fell”— that implies an honourable soldier’s death, falling in action. “‘The Colonel writes so nicely.’ Something broke…”: Colonels, those responsible for a regiment of soldiers, wrote letters of condolence to the bereaved on behalf of the regiment. As Graves relates in ‘Goodbye to All That’, these letters were often a duty. “‘We mothers are so proud / Of our dead soldiers.’ Then her face bowed.”: The mother speaks as if for all British soldiers: perhaps the consolation that she finds in doing so is in subsuming herself in the collective loss of all the mothers of the nation. At any rate, these words do seem more sentimental than authentic: their clichéd expression helping to repress, perhaps, the great grief of the woman. “Quietly the Brother Officer went out”: ‘Brother Officer’ is an unusual term— an example of military language being used in a way that is jarring at the beginning of the stanza. 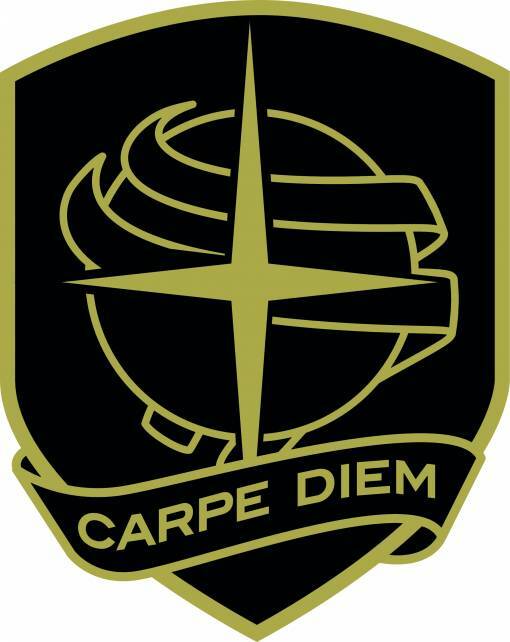 The camaraderie of the army, the special fellowship of men in service is introduced into the poem here. “…poor old dear …gallant lies”: these words imply a distance that the first stanza’s heartfelt scene did not hint at. “While he coughed and mumbled…”: the officer’s awkwardness in passing on condolences is understandable. The reason for the officer’s embarrassment only later becomes obvious. “brimmed with joy, / Because he’d been so brave, her glorious boy.”: the alliteration in these lines, expressing the devastation of the mother, is clever. The effect of the repeated ‘b’s is to convey her restrained tears and give a suggestion of tremulously spoken words— of repressing the need to cry, of blubbering. “He thought how ‘Jack’, cold-footed, useless swine, / Had panicked”: it is interesting to note the recurrence of the name ‘Jack’ in Sassoon’s poems. Sassoon was known as ‘Mad Jack’ by his men because of his almost suicidal bravery in battle. To name the coward and object of contempt in this poem ‘Jack’, then, is an interesting turn. Perhaps this ‘Jack’ is a kind of alter-ego for Sassoon, as, in a sense, was ‘Mad Jack’; a guilty idea of another self against whom Sassoon opposed himself (as a poet-warrior, with some success). “How he’d tried / To get sent home”: Jack has attempted to get a ‘Blighty’ wound— an injury that would get him sent home to ‘Blighty’, or Britain, in the slang of the time. This act of desperation— shooting oneself in the foot through sandbags, holding a hand above the parapet in a sniper zone, and so on— was not an uncommon recourse to those desperate to escape the Western front. “…and how, at last, he died, / Blown to small bits.”: the grisly contrast of the soldier’s death to the heroism supposed in the poem’s title is clear. ‘Jack’ is “blown to bits” by a shell or a mine: the plosive sound, ‘b’ echoing the sound of the explosive and its effect on the unfortunate soldier. The halting rhythm of the line, with pauses following each stressed word (“how”, “last”, “died”), lends a sense of inevitability to Jack’s end. “And no-one seemed to care / Except that lonely woman with the white hair.”: The final couplet is explicit, objective and powerful. The illusion of the opening stanza is replaced two related scenes of devastation: the fragmented body of the dead soldier, Jack, and the tragic image of the “lonely woman with the white hair”.